Aristotle answers this question: People need to see their views in order to see the stars, not the stars, but the tension that tends to vibrate. Years later, scientists begin to think of the stars as the reason for this shine. In the 18th century, Newton blamed the Earth's atmosphere. Today, the generally accepted explanation is "star glitter". The physicist Lorne Whitehead explains this: A distant light wave is coming and the planet is exposed to a different density environment of our atmosphere. Of course, not one of them comes in a thousand, and they are reflected as they enter the atmosphere, like breaking the same rays of sunshine as they descend into a pool. Although this explanation is generally accepted, John Kuehne of the University of Texas thinks that the "lens and prism" model can fail to do this, "everyone forgot about the wave theory of light." 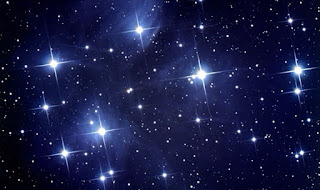 We should not think that the lights coming from the stars will be broken in the atmosphere, Koohne, but instead we should think that the lights move very synchronously. "The atmosphere adds wrinkles to the back of these lights, which leads to irregular patterns. That's why the stars shimmer. " But Whitehead does not think it is necessary to complicate the matter. He says that the two theories give the same answer.